We are proud to present our full exterior range in this section. Outdoor blinds and awnings are growing in popularity enormously at present and as usual Blinds By Peter Meyer are ahead of the game. We are pleased to help you with your selection and any advice you may need. 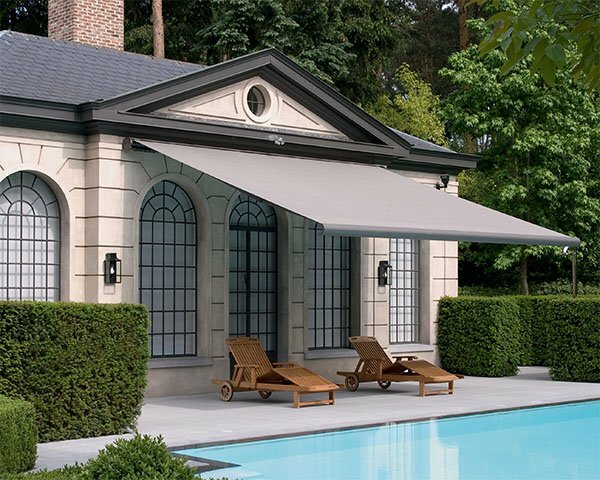 The exclusive Weinor range of outdoors awnings. 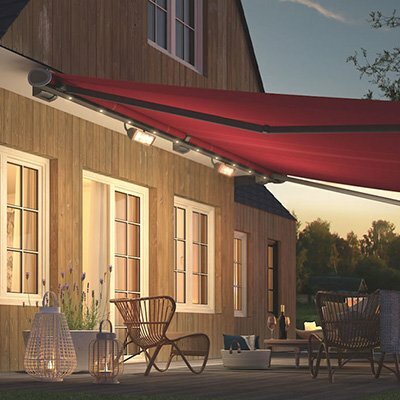 Includes Full Cassette Awnings, Open Awnings and Semi-Cassette Awnings. 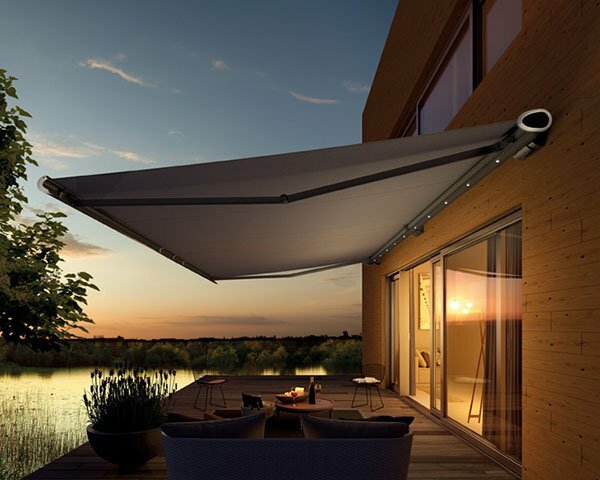 T5500 Pivot Arm Awning, the fabric is projected off the window which allows air to flow behind the Awning. 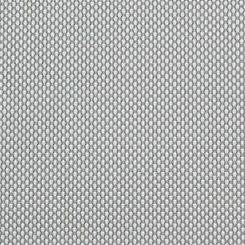 Paravento Side Screen panels from Weinor provide an attractive and practical solution to adding privacy to your outdoor area. Weinor’s stylish new Vertical Roller blind range featuring tiny 75mm & 92mm cassettes that enable blinds to span up to a massive 6m width. Discover Australia’s leading range of exterior roller blinds, all back by our 5 year warranty. 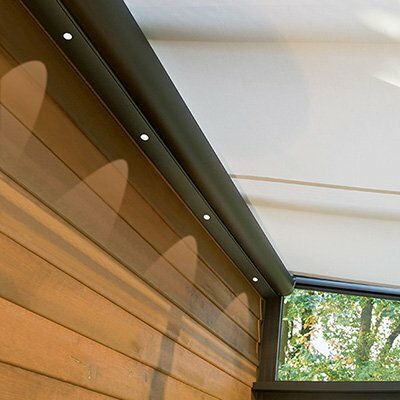 Customise your exterior roller blinds by choosing from 4 awning styles. We offer a range of shutters & styles that will complement most facades to provide privacy & control of sun & light in a classic & elegant way. Warema is well known for its high quality and advanced design and is the market leader in this elegant exterior window treatment. Retractable textile patio roofs for large areas and high wind situations. Conservatory Awnings offering great flexibility. Weinor LED light bars add that special touch to any patio: their warm glow creates attractive lighting while allowing the patio to be used for much longer.